'Dalmia Lions Utsav 2014-15', the inter-college festival extravaganza organized by the Prahladrai Dalmia Lions College of Commerce & Economics, Malad (W), Mumbai ended with great fanfare. The Dalmia Lions Utsav themed as Restoration of Kashmir – The Paradise Lost, ended yesterday with a great fanfare. The prize distribution ceremony was as grand as the Utsav. The sponsor's of the event were also felicitated by the trustees of the college and Lions Club Members during the event. Around twenty sponsors had supported the event for the successful completion. Ruia Agro Farms, Killer, Stride, Ruchira Jewellers, Sound Track, Jalan Fans, Oye are a few of them. As the Utsav was themed as Restoration of Kashmir – The Paradise Lost, the students of the college had collected an amount of Rs. 31000/- which was finally handed over to Ms. Shakti Munshi who is the representative of Seva Sahyog Foundation. The Foundation and Ms. Munshi works upon rehabilitating the Kashmiri people. 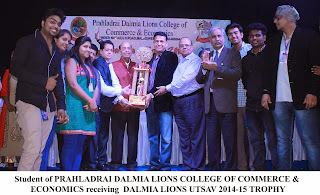 The closing ceremony was followed by the prize distribution at the 'Dalmia Lions Utsav 2014-15'. Prahladrai Dalmia Lions College of Commerce & Economics, Malad (W), Mumbai won the overall Dalmia Lions Utsav Trophy (donated by Smt. Shardadevi Shamsundar Ruia) and Durgadevi Saraf College won the runner up position. A total of 64 colleges participated in this year's 'Dalmia Lions Utsav' and over all 1850 students participated for the exciting sporting and entertaining extravaganza. The prize distribution was done by the management members, Lion Sharad Ruia (Chairman), Lion K.G. Saraf (Secretary Governing Council) and Dr. N.N. Pandey (Principal), Prof Subhashini Naikar (Co-ordinator). The 'Dalmia Lions Utsav' is one of the best Inter-Collegiate festivals in Mumbai which attracts students from over fifty colleges in Mumbai, and is graced every year by city luminaries as Chief Guests and Judges for various events. Started on 22 December, about five thousand students are participating in this two-day extravaganza, covering music, dance, fine arts, cultural programmes and special events. 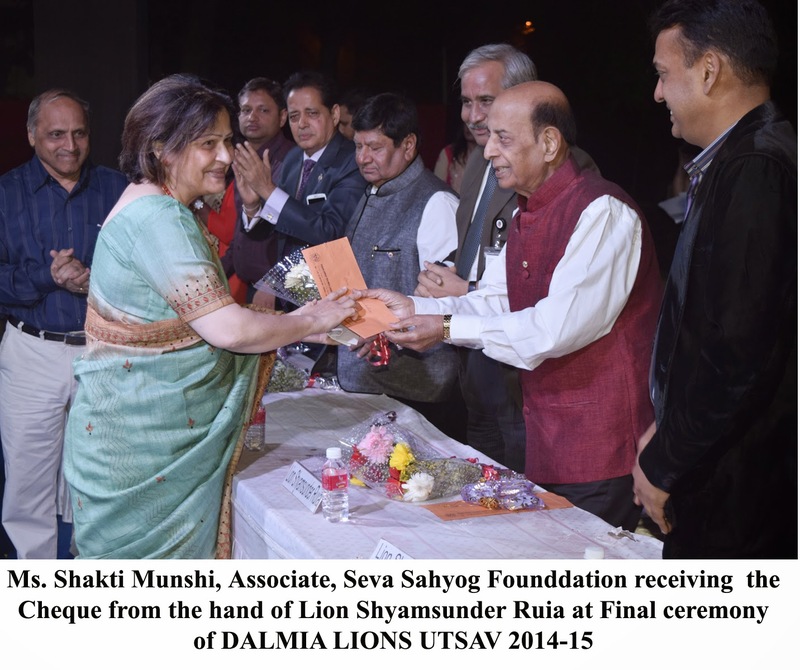 No Comment to " Dalmia Lions Utsav 2014-15’ concludes in style "